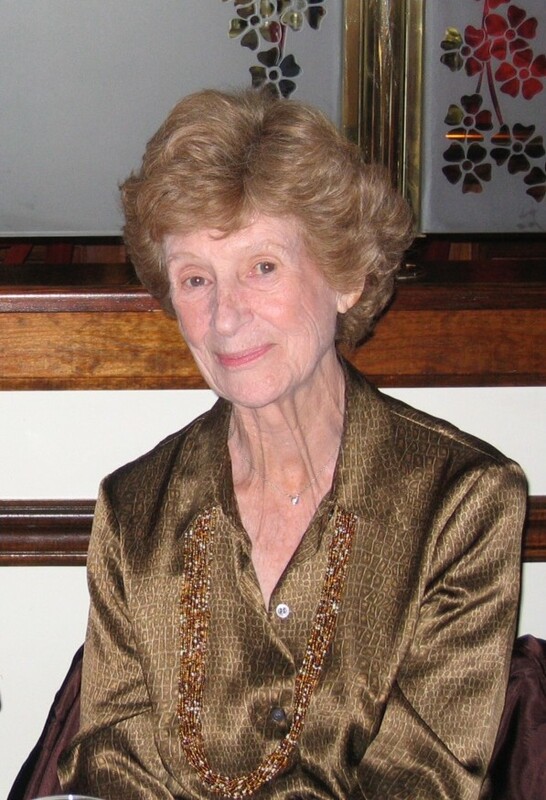 Catherine H. Casden died peacefully on December 9, 2014, in the loving care of her son and daughter. She was in a hospice setting in the home of her daughter, Suzanne Casden, in Woodmere, N.Y.
Catherine touched many lives with her generous spirit and loving heart. It is no exaggeration to say that to know Catherine well was to love her. In addition to her family, she had numerous friends in New York, as well as in Florida, where she and her husband, Sidney Casden, had lived for the past 41 years. Born in Hackensack, N.J., on January 7, 1927, Catherine grew up in Richmond Hill, Queens, the daughter of Joseph and Mae Harrington. She attended public schools and began working in the garment industry in Manhattan as a young woman. Catherine became a buyer of junior dresses at Best & Co. on Fifth Avenue in the 1950s and later held a similar position with Associated Dry Goods, working at Lord & Taylor, the company's flagship department store on Fifth Avenue. It is a testament to Catherine's intelligence and dedication that she was able to make a successful career in a highly competitive industry at a time when many women faced insurmountable barriers to professional advancement. Her first husband, Jeremiah Kelley, died in 1969. In 1970, Catherine married Sidney Casden, the owner of the RCS manufacturing firm in Manhattan's garment district. Sidney Casden died on January 12 of this year at age 92. The couple lived in Woodmere prior to enjoying a long and happy retirement in Ormond Beach, Fla. Catherine worked there for various charitable organizations and liberal political causes and candidates. Catherine is survived by her son, Kevin J. Kelley, of Burlington, Vt., and Atlantic Beach, N.Y., and by her step-daughter Suzanne Casden, of Woodmere, N.Y. Neither Catherine nor Suzanne ever used the "step-" prefix. She is also survived by her grand-daughter, Alexandra Kelley-St. Clair, of Northfield, Vt.; her grandson, Liam Kelley-St. Clair, of New York City; her step-grandsons Jared Borriello and his wife, Rena, and Bradley Borriello and his fiance, Rachel, all of New York City, and Sidney Corren, of Burlington, Vt. Other survivors include Kevin's wife, Karen Amirault of Burlington, Vt.; and Suzanne's husband, Raffaele Borriello, MD, of Woodmere, N.Y.
Catherine's step-daughter, Terri Diane Casden-Thompson, predeceased her, as did her brother, Joseph Harrington. Graveside services took place at St. Charles Cemetery in Farmingdale, N.Y., at 10 a.m., on Friday, December 12. Catherine Casden was a beautiful woman of exceptional warmth and compassion. She is deeply mourned, and will always be remembered, by all who knew her.